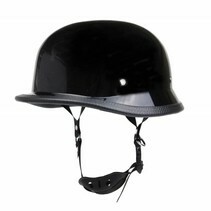 We have a large range of chopper & german helmets in stock in different colours and materials. 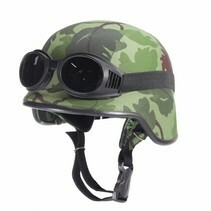 You can also extend it with some nice motor goggles and matching gloves. 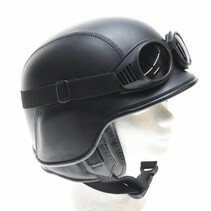 The German motorcycle half helmet owes its name to the helmet model used in the Second World War. 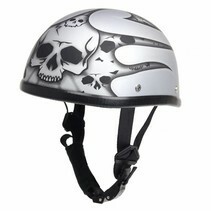 Nowadays it is a popular motorcycle helmet and they are usually placed under the chopper helmets category. 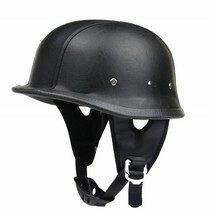 In the past, the German motorcycle helmets, however, fell under the category of rare helmets and were difficult to purchase. 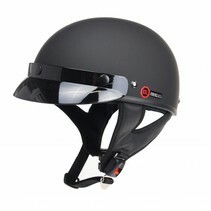 Because of this they were also considered unique and the users of this helmet could stand out from the other motorcyclists. 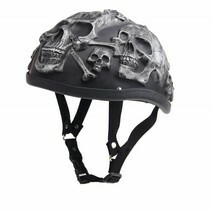 Our helmets are still not or hardly found in Europe and therefore you can still distinguish yourself from other motorcyclists by wearing this type of helmet. 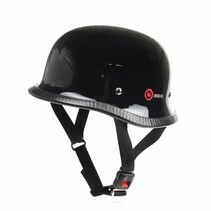 We have German and chopper helmets made of leather, fabric and the well-known glass fiber. 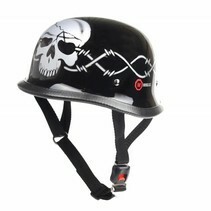 The glass fiber models are of course the safest, but a German helmet with an ECE label does not exist unfortunately. 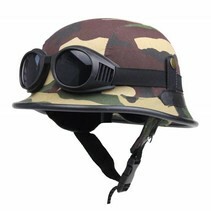 Some models come standard with matching motorcycle goggles and other models can be extended with motorcycle goggles or aviator glasses. Because say so yourself, the outfit is only complete when you have a German helmet with matching motorcycle goggles. 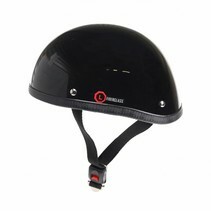 Most models are therefore equipped with a clip on the back and sometimes on the sides. This keeps the motorcycle goggles always in place. Our German helmets can also be used for both men and women. So they are all unisex models. 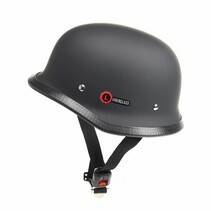 In addition to the cool retro appearance and motorcycle helmet history of this helmet, there are a number of advantages that we can highlight for the German motorcycle helmets. User friendliness is an example of this. The helmet is incredibly easy to use. 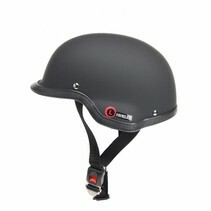 Simply open the quick release on the chin strap and put the helmet on your head. Close the quick release and you can go ride! 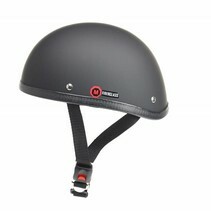 The helmet adjusts itself over time to the shape of your head. 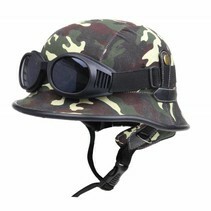 It will therefore always feel more comfortable after a while to wear this helmet. The helmets are also very easy to clean. This is because of the materials used on the outside of the helmet. Use a soft wet cloth to remove the dirt from the helmet and then make sure that the helmet will look like new by wiping it with a dry cloth. 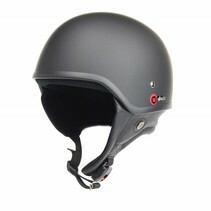 We can therefore conclude that the German motorcycle helmets are among the most popular motorcycle helmets in the world. Thanks to the light weight, useful user benefits and the beautiful retro style we also understand why! 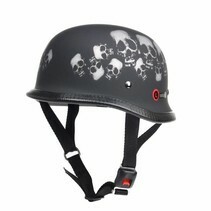 Looking for a chopper helmet with ECE quality mark? 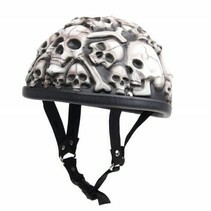 View our range of retro motorcycle helmets.